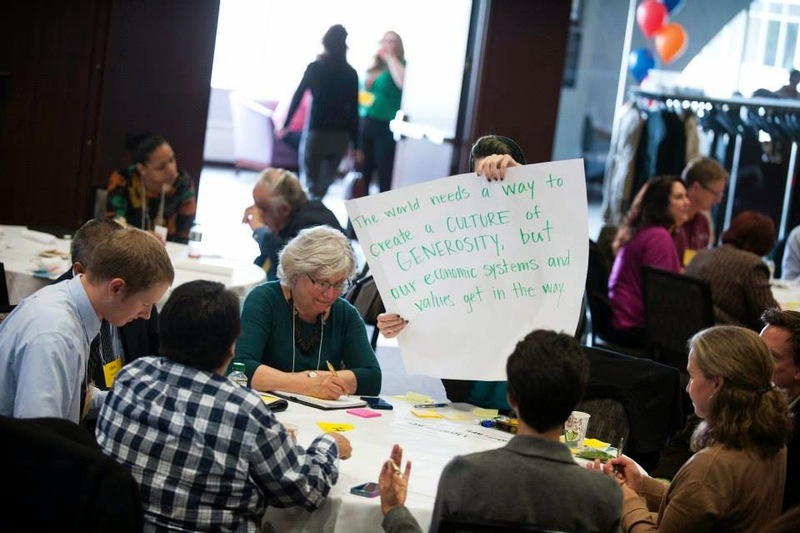 At the Charities Review Council Annual Forum 2014, participants engaged in design thinking exercises about disruptive philanthropy. When I ran into a former colleague recently, she asked me what I liked about freelancing. Without hesitating, I commented on how stimulating it is to work with such a diverse group of nonprofit and foundation clients. As I explore fields that are new to me, I meet fascinating people, and best of all, I get to apply what I learn in unexpected ways that benefit my clients — and my community. For instance, before I was introduced to CornerHouse in Minneapolis, I knew little about child and adolescent abuse. Plus, I was completely unaware that this local agency is known worldwide for training of forensic interviewers, or that it is the only children’s advocacy center in the country that is offering healing home visiting services to children and families dealing with the aftermath of abuse. So in the course of just a day or two, I’ve written about families recovering from trauma, grocery delivery services for seniors, and rural broadband access, among other topics. Shifting from one subject to the next, I see surprising connections between ideas and audiences, and new communications strategies emerge . . . it’s a sort of creative rush. In another way, my work on behalf of my clients and their beneficiaries feels like a personal design thinking exercise. No matter what how you describe it, I feel happy to zig and zag while I work, using my neurons to connect seemingly unrelated dots . . . and making my small contributions to the third sector and our greater community.